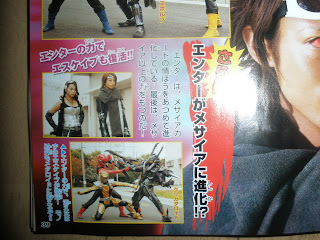 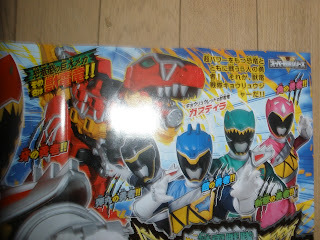 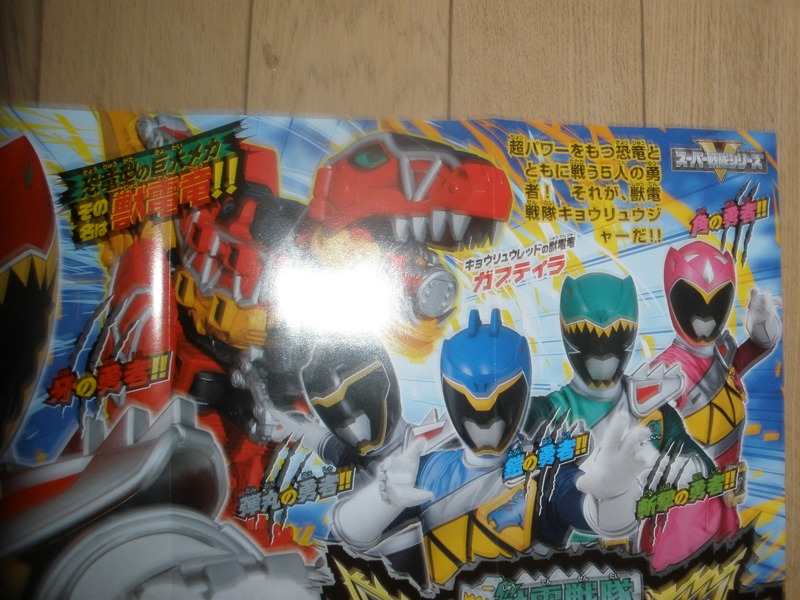 The new team, Kyouryuger, along with Red's JyuDenRyu, GabuTyra. 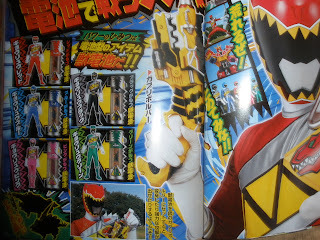 Each Kyouryuger's personal JyuDenChi (Beast Batteries), which when inserted into the GabuRevolver, allows them to transform. The henshin call is Kyouryu Change Fire! 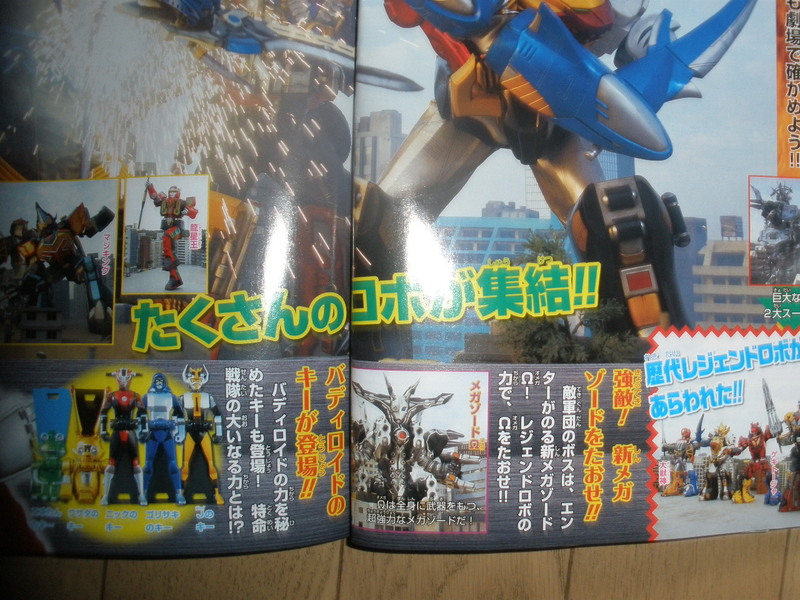 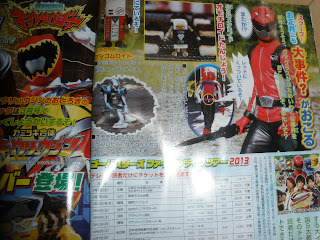 The BuddyRoid Keys, along with the Megazord Omega. 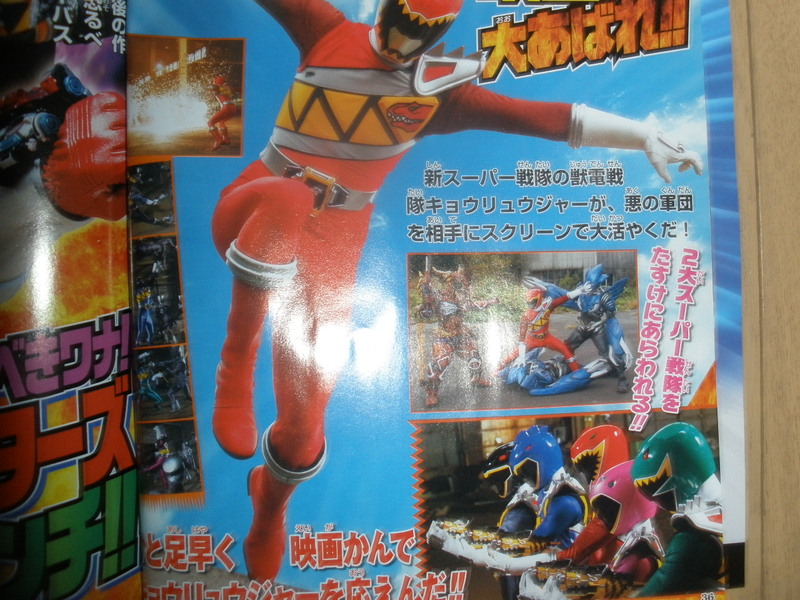 In the VS film, the Kyouryuger show up to help against the Zangyack! 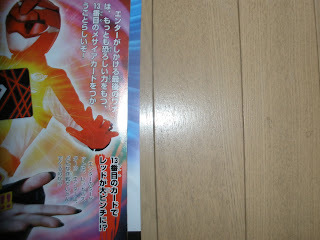 The 13th MessiahCard seems to have been save for Hiromu. 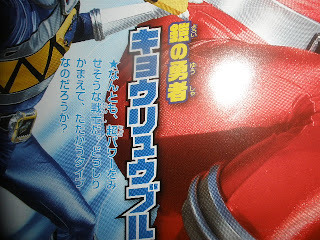 What will happen to RedBuster?! Enter wants to evolve into Messiah. His plans involve resurrecting Escape, and creating the KuwagataRoid, the first Organic Metaroid. 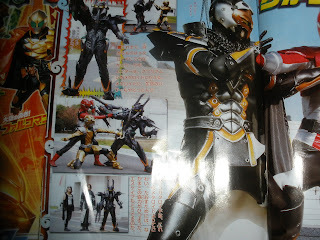 A warrior who has aclose connection to his JyuDenRyu, GabuTyra. 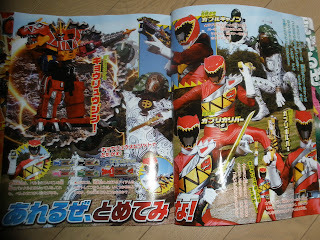 The center of the 5, he always heads straight for the attacking enemy! 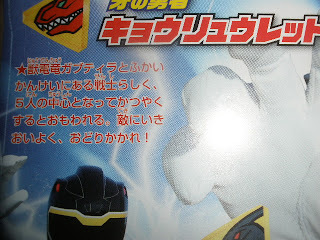 What type of Dinosaur Power is hiding within this dark hero? 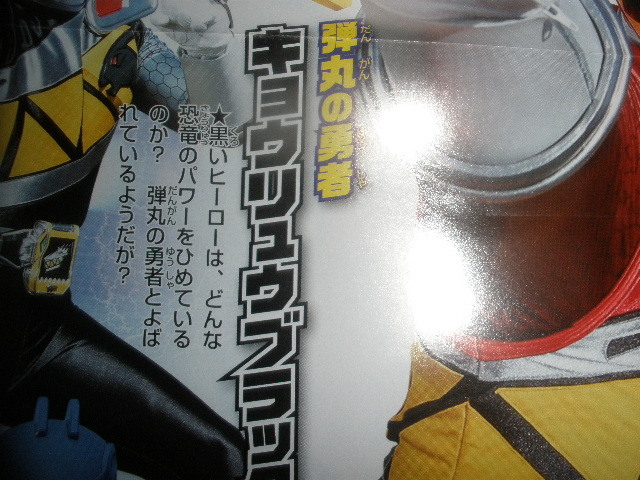 Why is he called the Bullet Hero? A super-powered warrior, but is he the fighting type? 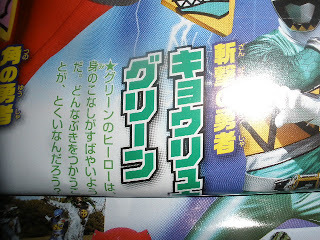 What weapons does this Green hero specialize in to be called the "Slashing Hero"? The only female warrior on the team is this Pink hero. 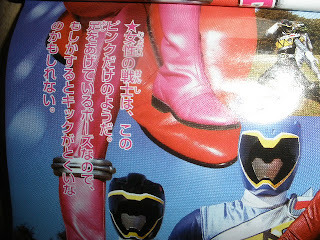 With her pose a raised foot, is it possible that she is adept at kicking attacks? 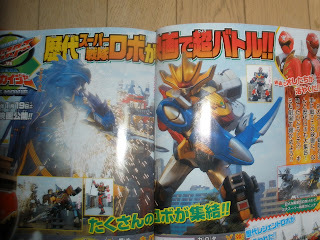 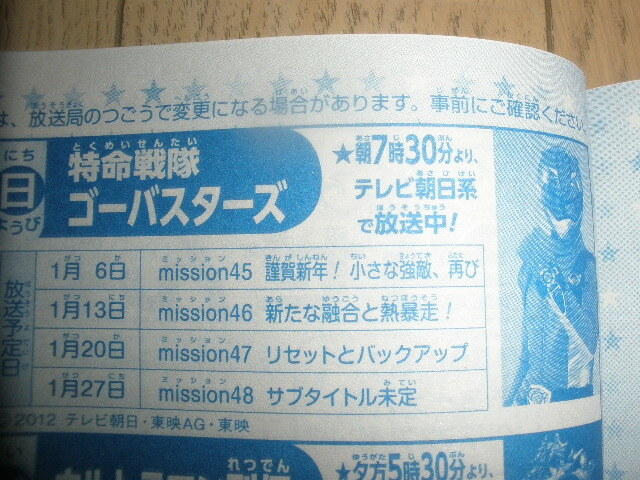 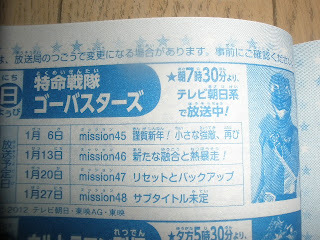 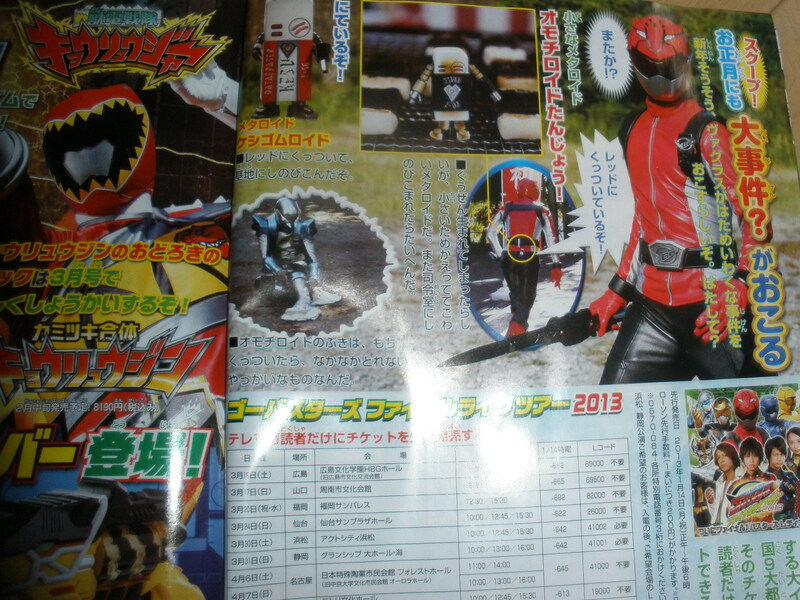 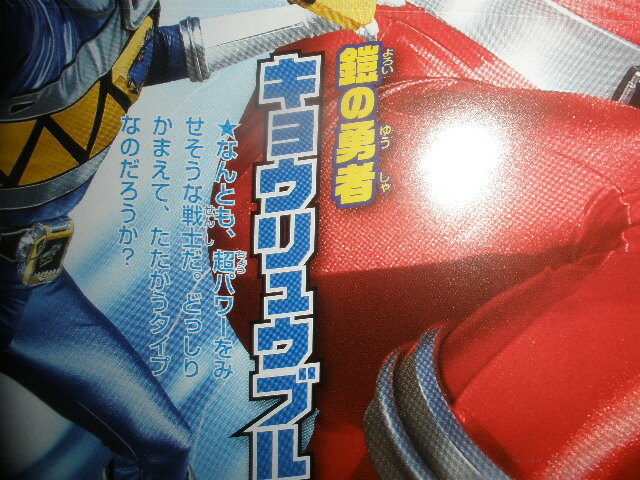 Kyouryuger premiers on February 17th, 2013! 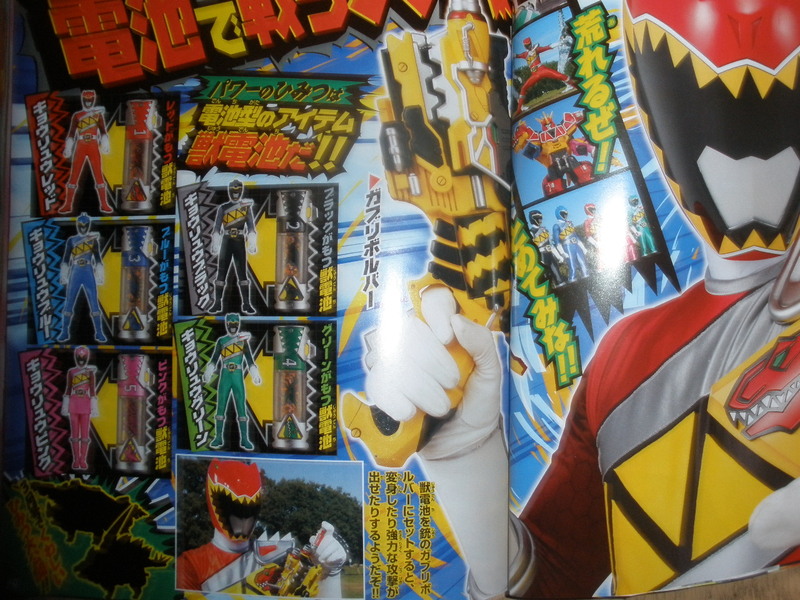 A shot explaining how Go-BusterKing was not enough to fight Messiah Reboot, so the Busters used Buster Beet to launch Go-BusterRaiOh at him, allowing for them to zero in on his core and destroy him. 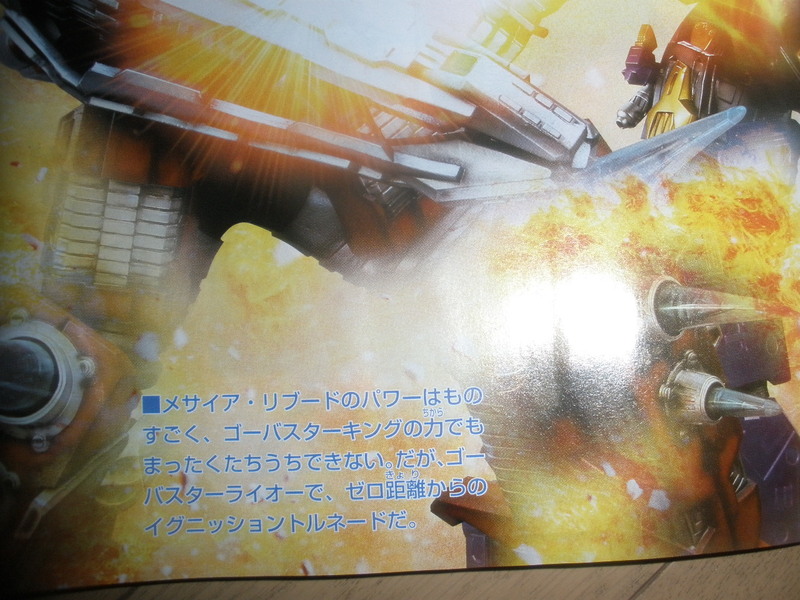 Enter, Escape and Enter's new Organic Metaroid, KuwagataRoid. J doesn't seem to be fighting him at all....making one wonder if J is sitting this one out because he would consider the bot "a friend." The OmochiRoid (Rice Cake Roid) will serve as the enemy in the New Year's episode. 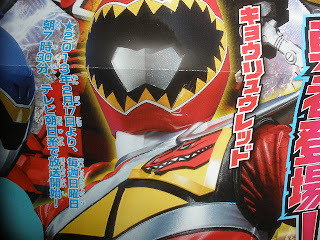 The OmochiRoid is noted as looking suspiciously like the KesugomuRoid (EraserRoid) which the rangers' previously beat. As is usual, the New Year's ep is going to be a fun one, before things go to hell in the remaining episodes of the show. It's been a fun year, and it's winding down. But not to fret...cause Dinosaurs make me happy.